Welcome to Day #3 of Chocolate and Cashew Theme Week. 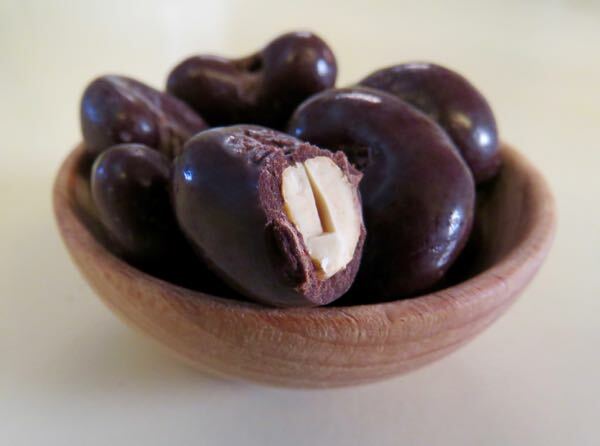 Today's Dark Chocolate Covered Cashews were produced by GourmetNut (Brooklyn, NY). 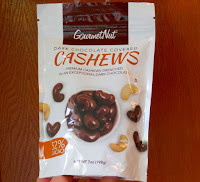 These glossy, comma-shaped confections with a cashew inside were chocolatey, crunchy and satisfying. 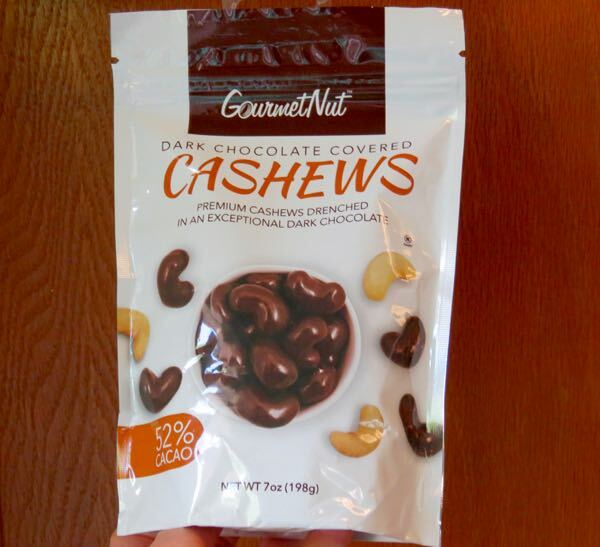 Like most chocolate-covered cashew treats, the mild, sweet nut flavor of this nut got overshadowed a bit. The relatively thick 52% cacao chocolate covering had a pleasing, rich brownie flavor and dominated the mix.